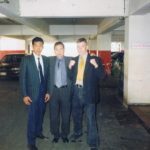 After being lucky enough to gt sponsored when I was 19 to train in Thailand, I was sent to Sidyodtong for 3 months, was suppose to be there 6 months but there was no love for Farlung there and was lucky to be picked up by Loomingkwan gym after 3 months, who were friends with Richard Vell who owns Boonchu. 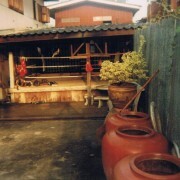 Loomingkwan was the home of Thai super star Sangtien Noi, the Deadly Kisser and it was the first time the camp had ever had a Farlung train there. Richard Vell told the owner of the camp, he is yours, do want you want with him. 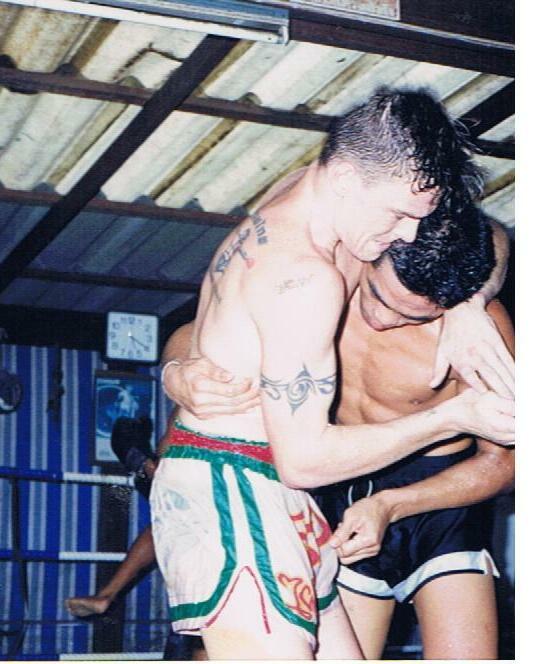 So instead of paying gym fee’s I was lucky enough to do Thai style, train and stay at the camp for free with all meals and so on paid for, but fight time hand over 50% of my purse. I was very lucky this way because the harder they trained me and more tricks they showed me, the better I become to make more money for the camp. Let me explain about the owner of the camp. 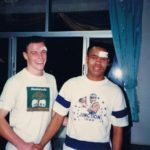 We all called him Por (Dad) and he and his wife looked after all us boxers as if we were family, very very hard man when training but after training very fair. 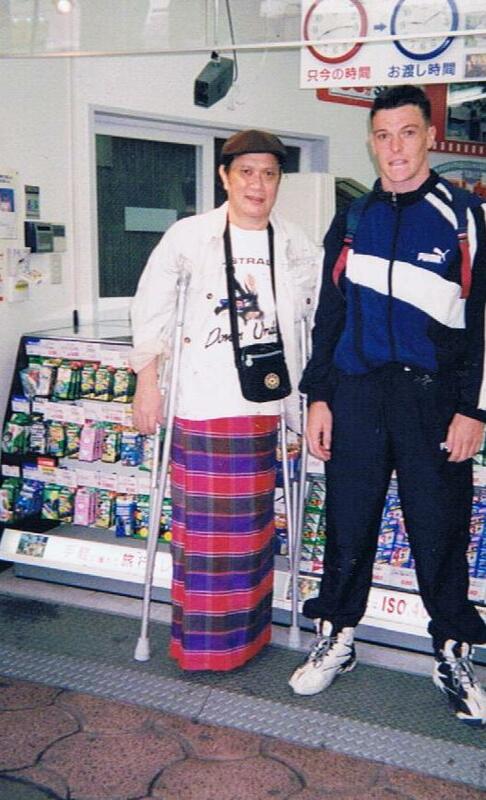 Por was not only famous for having great fighters but he was the only trainer in the world to only have one leg (lost it through drinking and smoking). Por had great pad holders and would explain techniques with his hands (and swearing ha ha). After a few small fights in the small stadiums that I won I started to make a name as a figher to look out for. 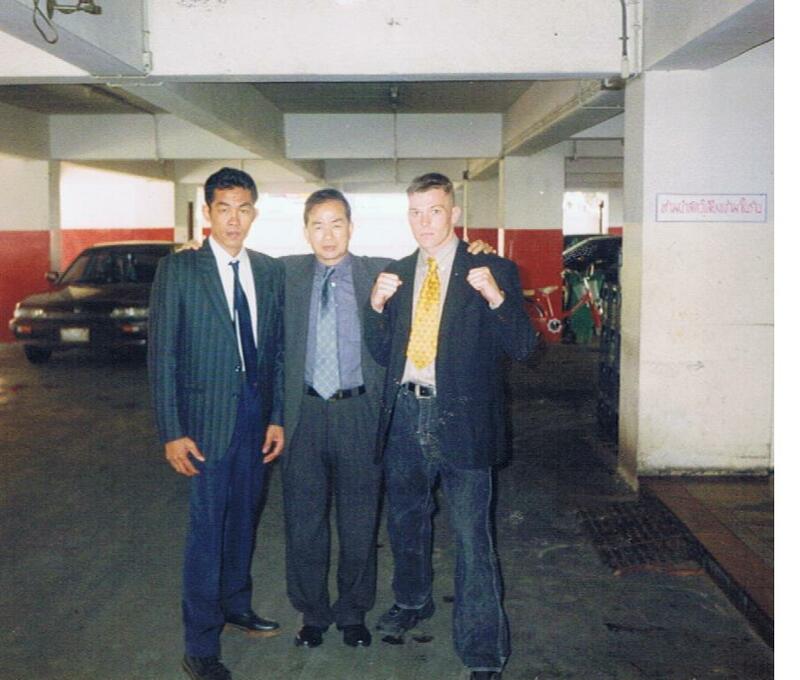 On a huge show that Sangtien was fighting on Danny Bill never turned up, my trainer told Songchai (number one promoter in Thailand) that he had a farlung that could take his place. I didnt fight the guy that Danny was suppose to fight but still got a chance to fight on the show last minute, this was in front of a crowd of 40,000 people. 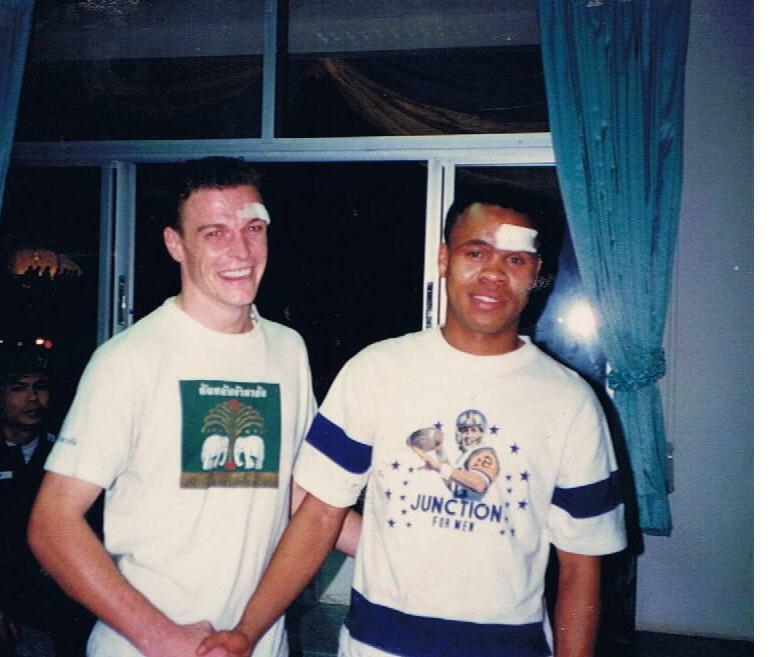 We had a war, I got cut in the 5th but still won my fight. 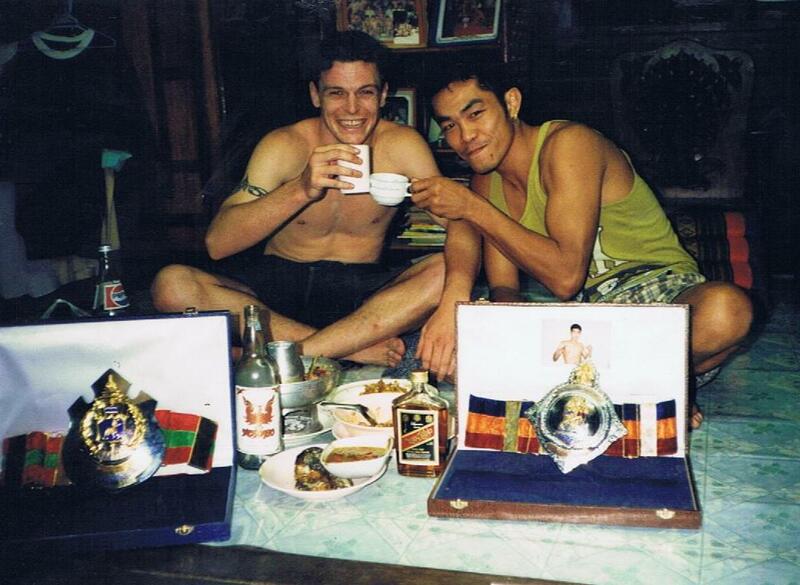 Songchai was very happy and I became his boxer after that up until this day. All the stars were on that show, Namkabon, Orono, Sakmongkol, Pirote so it was a honor to be getting high fives from all the legends after the fight. Pretty much after that I spent 4 years on the circut fighting along side this guys every month and all started to become friends and hang out when we went on fight trips. Here is the most crazy and lucky part of my stay in Thailand. We had about 8-10 fighters in the camp, one night one of the boys got in trouble because Por heard that he was going to throw a fight for money. That night he talked all the other younger fighters to run away with him. 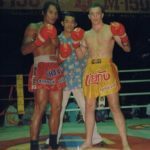 I had been in Pattaya for a weeks holiday after one of my early fights, when I got back all the fighters besides Sangtien had run away. 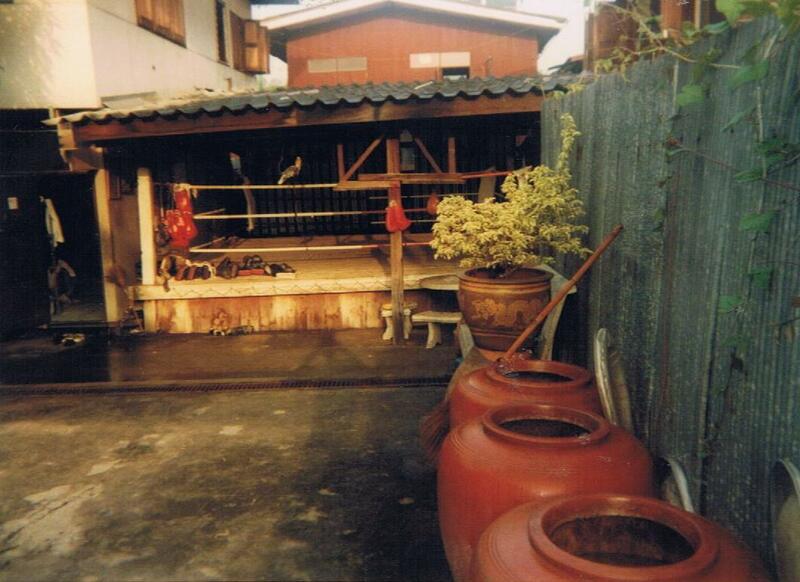 This left just the owner Por, his wife, his two grown up sons who were the trainers, a pad holder and Sangtien. For the next four years I had to become Sangtiens sparring partner, grappling partner and pretty much his all round bit*h. The trainers only had two people two watch so I learnt on the job very fast. 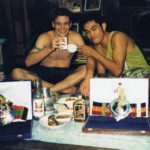 It was only Sangtien and I making a income for the camp so I got to fight plenty and make some not bad money for a Thai fighter (over there it was good money, cut that by 50% and its not much). 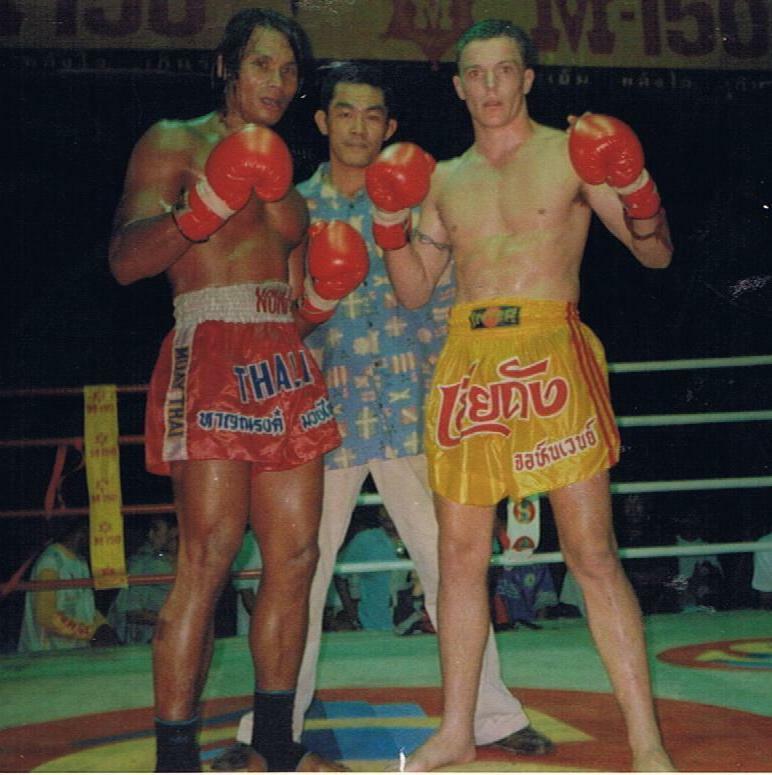 One of my scary fight was agianst Hanarong, not because he was a big name, but because at the time the bloke was a monster. I was lucky to win over five rounds and live to tell the story. 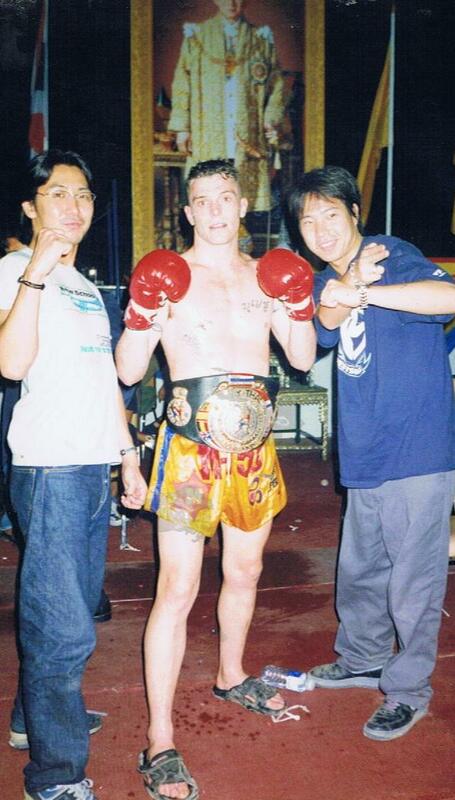 In the year 2000 after beating Scott Bannon for my first world title I travelled back to Thailand to fight on the Kings birthday. Masato was suppose to fight Orono but rumor had it that Orono had Hep B. Masato and his managment pulled out from fighting Orono wanting another opponent. 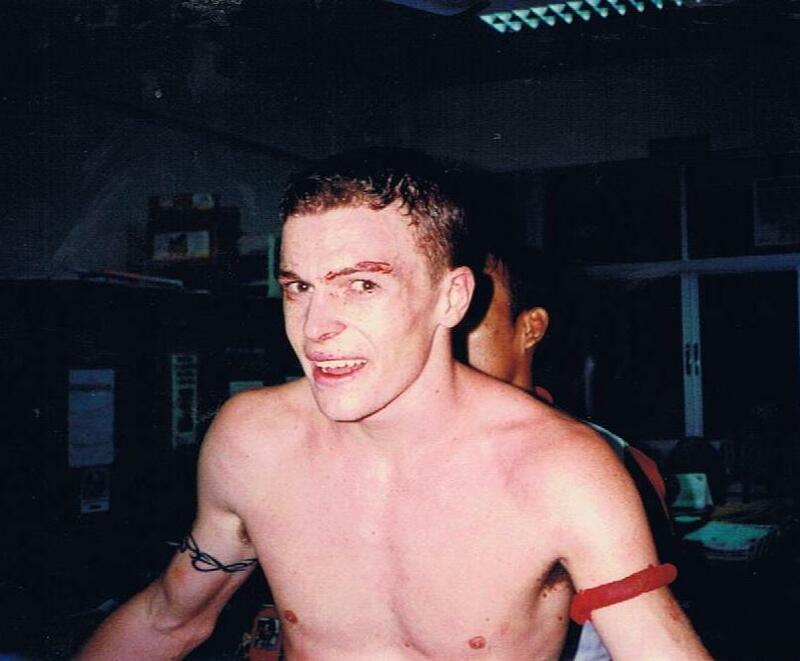 I was suppose to fight another Thai but Songchai said I looked to big and decided then and there that tomorrow I would now fight Orono instead. I pooed my pants because Orono had already stopped me once before cutting me 21 stitches. 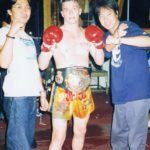 This time however I was a little more experienced and managed to beat him over 5 round on points in front of 100,000 people, live on Thai tv for his world title. 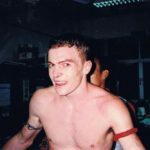 To win a world title in Thailand after all the years I had lived there was the ultimate experience I could have ever dreamed of. S orry many stories, could write all day as its so much fun thinking back to the madness. I hope you enjoyed the little trip down memory lane.